Norway’s biggest cities give you the best of two worlds – urban life and unspoilt nature. Take your holiday to the next level with these scenic hikes. The cities are also home to a wealth of steep hills and viewpoints, with popular hiking trails that suit all levels. Every day, Norwegians of all ages juggle between urban activities and nature adventures. For many locals, this is simply a way of life. Join us on concrete and trails this summer and explore our biggest cities on both high and low altitudes. 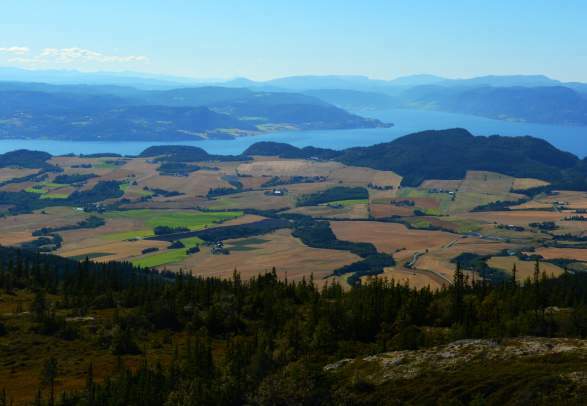 Here are five easy mountain hikes located in the most popular cities (on visitnorway.com) – all recommended by our destination offices. If you want to escape the hustle and bustle of the city within few minutes, you are in for a treat. Located just 1.2 kilometres from the metro stop, Vettakollen hillcrest is one of the most accessible hikes from the city centre. 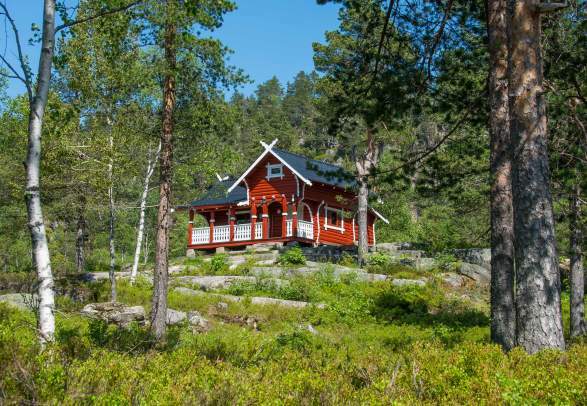 Follow the path into Oslo’s “backyard” the Nordmarka forest and be rewarded with a panoramic view of the capital. If you want to escape the hustle and bustle of the city within few minutes, you are in for a treat. Located just 0.7 miles from the metro stop, Vettakollen Hillcrest is one of the most accessible hikes from the city center. When it comes to stunning views and accessible paths, Bergen is hard to beat. With steep mountains as a backdrop the city is idyllically situated by the fjord. Start your day hiking in the mountains, then make your way down and experience the vibrant pulse of the city centre. Visit Bergen, the local destination office, suggests a guided tour on Mount Fløyen, a peak rising 400 metres above sea level. Jump on the Fløibanen funicular and join one of the daily hikes on the mountain. During your tour, you will walk along marked trails through unspoilt nature, whilst witnessing the scenic city from different angles. When it comes to stunning views and accessible paths, Bergen is hard to beat. With steep mountains as a backdrop the city is idyllically situated by the fjord. Start your day hiking in the mountains, then make your way down and experience the vibrant pulse of the city center. Visit Bergen, the local destination office, suggests a guided tour on Mount Fløyen, a peak rising 1300 feet above sea level. Jump on the Fløibanen funicular and join one of the daily hikes on the mountain. During your tour, you will walk along marked trails through unspoiled nature, whilst witnessing the scenic city from different angles. Two-hour guided tour on Mount Fløyen with great views of Bergen! Whether you’re in the forests or the mountains, always follow to the mountain code when you’re hiking in Norwegian nature. 4. Be prepared for bad weather and frost, even on short &trips. Believe it or not, but the picture below from Fløya in Tromsø is actually captured at night. Every summer, the mountain draws visitors who want to witness the midnight sun. “The view from Fløya is formidable. You can spot every part of Tromsø and the surrounding islands. 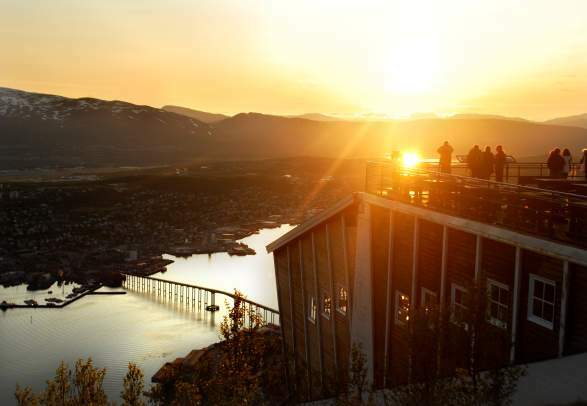 This is also the city’s best place to experience the midnight sun”, says Anne Marit Vik of Visit Tromsø. There are several ways to get to the top. Some choose to ride the cable car to Storsteinen and then walk further up the hill. Others climb the 324 steps of the “Sherpa staircase”, which starts close to the lower station, located on Tromsø’s mainland. Read more about the trip on Northern Norway&apos;s official website. Discover some of the underrated views of the Stavanger region. This part of Norway is known for attractions such as Preikestolen (“the Pulpit Rock”) and Kjeragbolten, but the varied landscape of this area offers many other picturesque alternatives. Dalsnuten viewpoint, which is located in Sandnes, is an ideal choice if you are looking for an easy hike close to Stavanger. The route includes everything from marked trails and steep hills to small lakes suitable for swimming. Don’t forget to bring a “matpakke” (packed lunch). Nothing beats a snack after a successful hike. Planning a trip to Trondheim? In addition to charming shopping streets and trendy eateries, Norway’s third largest city is home to scenic recreation areas ideal for trekking. 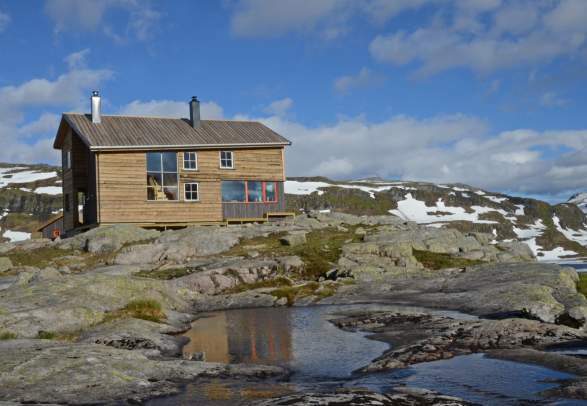 The hike to Trondheim’s highest point Storheia is a popular choice amongst the locals. The trip is suitable for all levels, and when you make it to the top, you are rewarded with a jaw-dropping view of the Trondheimsfjord and the Fosen peninsula. Read more about the trip on UT.no. Norwegian philosophy is very much that conservation is everyone’s responsibility. Try to leave as small a footprint as possible. Leave it as you would like to find it is the mantra - Take only pictures, keep only memories. There is no need to wait until you’re here to find out what you’d like to do. Filter your search and check out some of the other scenic hikes Norway has to offer.